The word restaurant comes from the Latin, restaurer: meaning, to restore. In all languages, there is some similar version, ristorante (Italian) restaurante (Spanish) restoran (Turkish). 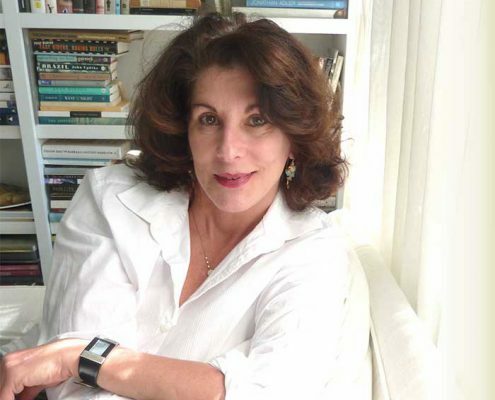 The need to ‘feel restored’ is universal. Today, restaurants do that, and more, through their architecture and design: Restaurant design can inspire, transport, create drama, fantasy, theater, and give its guests a much-needed escape into a distinctive environment while enjoying a culinary adventure. In an Los Angeles, a black painted open shelf display at restaurant Comme Ça, where award-winning chef David Myers presents traditional French cuisine with a modern twist. 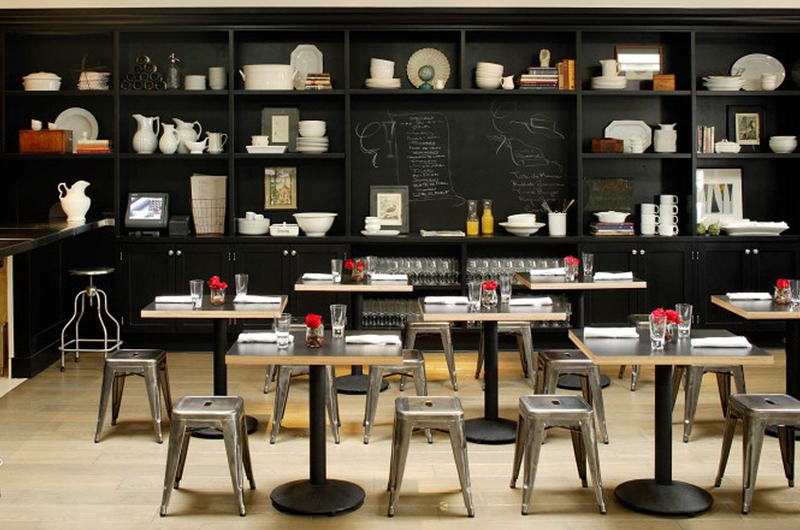 Bistro tables and chairs sit adjacent to the eclectic objects that make the restaurant feel warm and inviting. 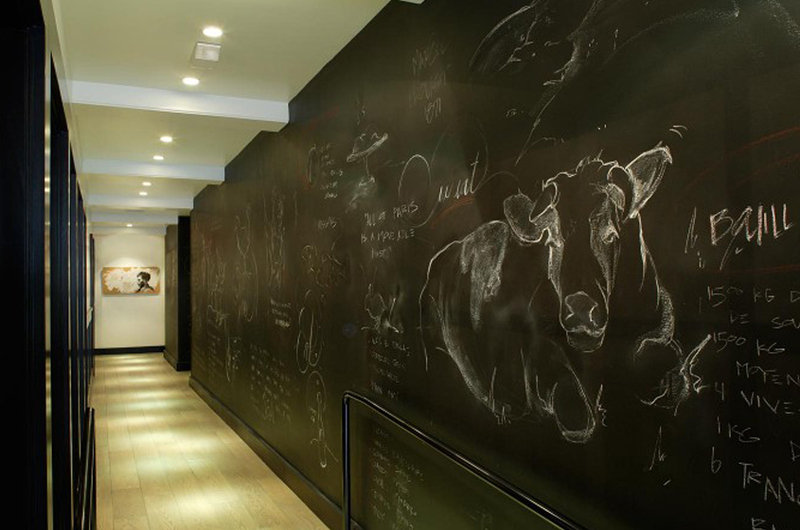 An innovative idea, a blackboard with white chalk drawings in a hallway at Comme Ça restaurant in Los Angeles. The color palette is black and white throughout, so this smart touch was an interesting one added by the designer. 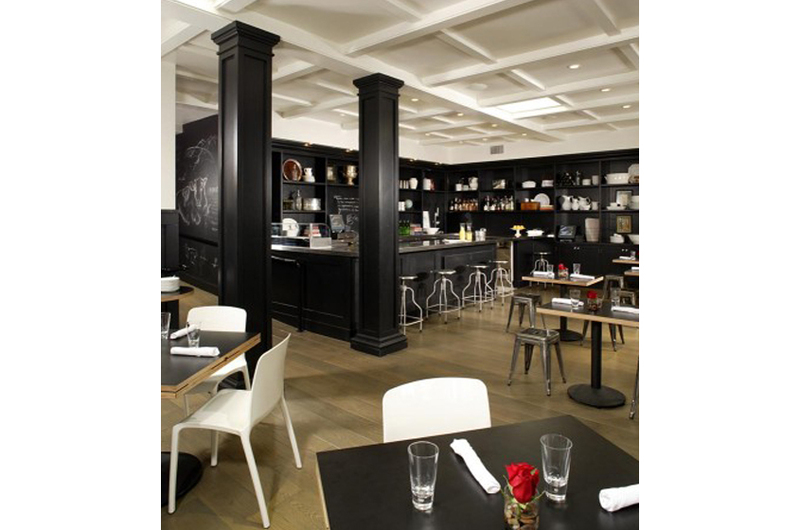 At Comme Ça in West Hollywood, California, the look is created through a minimalist color palette, with black wainscoting, and white furnishings. 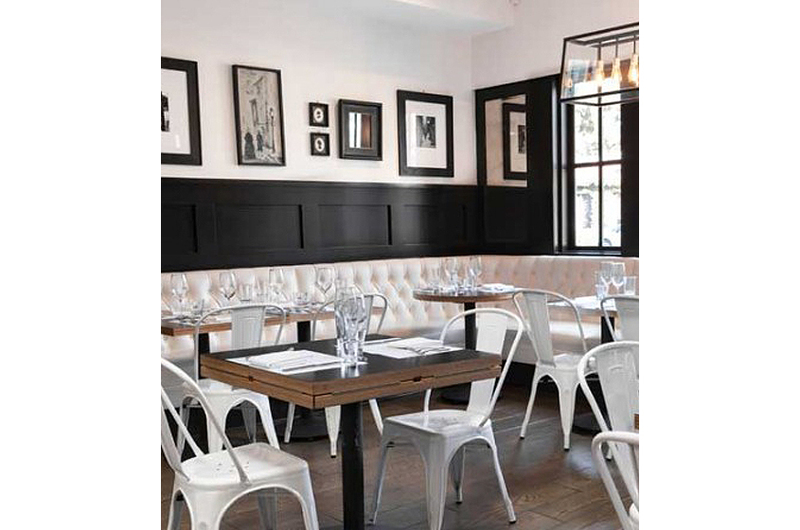 The mixed vintage French bistro furniture creates a sophisticated but relaxed atmosphere. 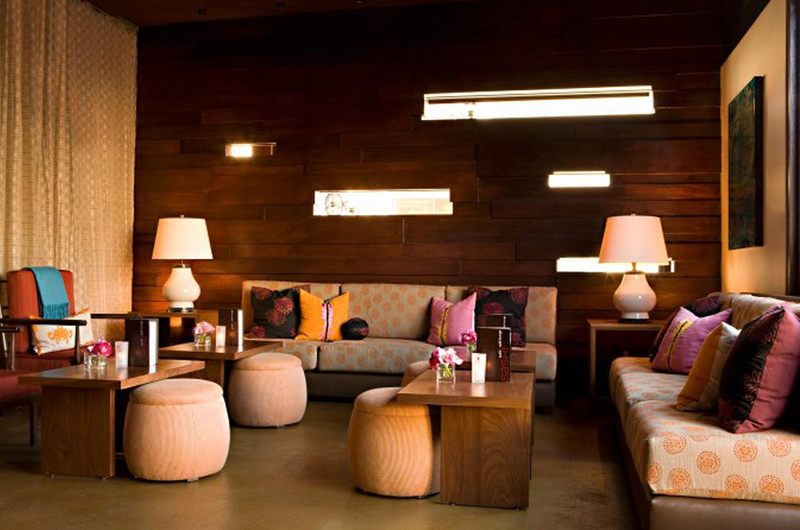 In Los Angeles, the lounge of a sushi restaurant, the colors were inspired by the cherry blossoms of Kyoto. 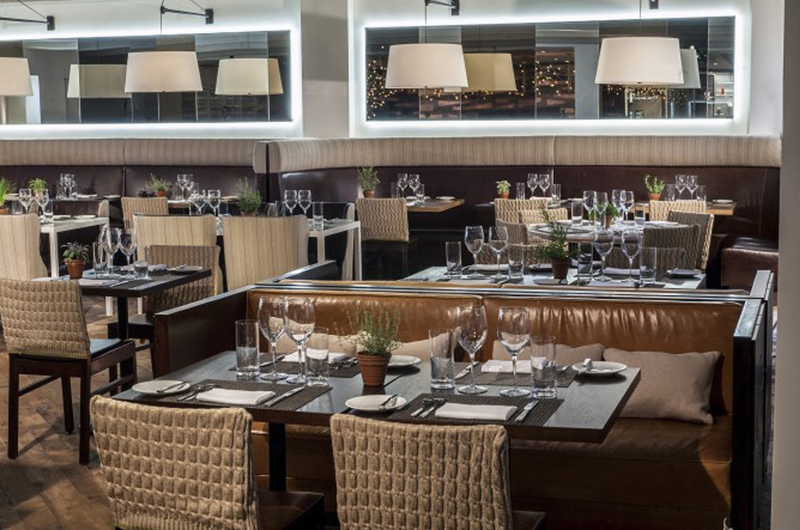 Cable knit sweaters were crafted to dress up standard bistro chairs, and linen lights are suspended over the row of banquettes, create an elegant but casual environment for this new American bistro in Greenwich, CT. 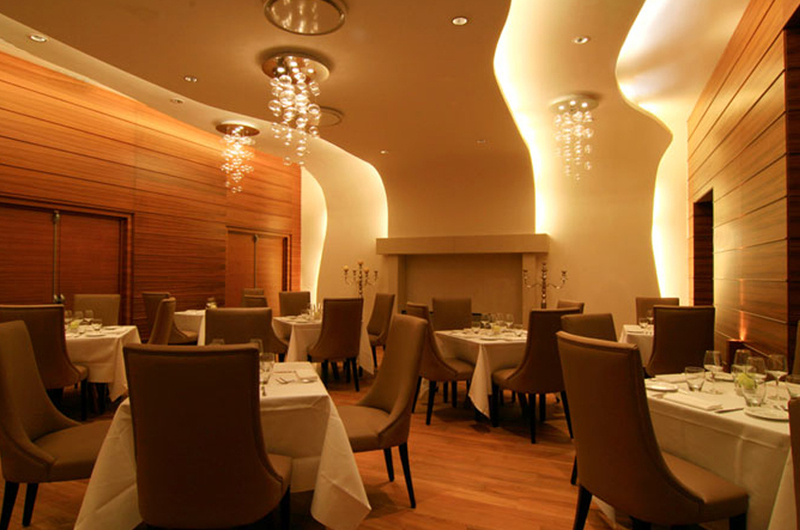 The restaurant of the Exedra Hotel in Nice, France, uses colors that are golden, like the sun of the region. There are teak wood floors and concealed lights of warm hues and boiserie. The focal point of the room is the overscaled dramatic stone fireplace. Custom stitched and printed sheers hang from the ceiling to create semi-private dining. 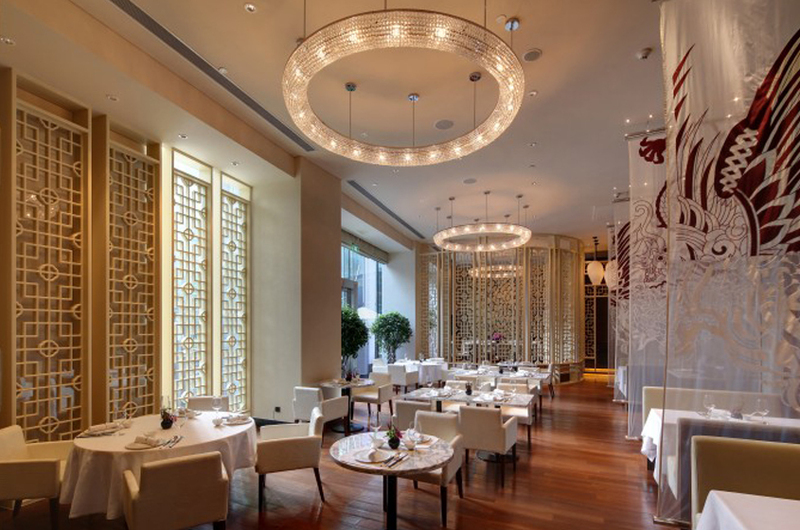 Pale fabrics and colors are used to reflect light in the basement level Young Yi Ting restaurant at the Mandarin Oriental, Shanghai, China. Chef Ken Frank’s Michelin Star La Toque restaurant, in downtown Napa is at the new Verasa Westin Hotel. 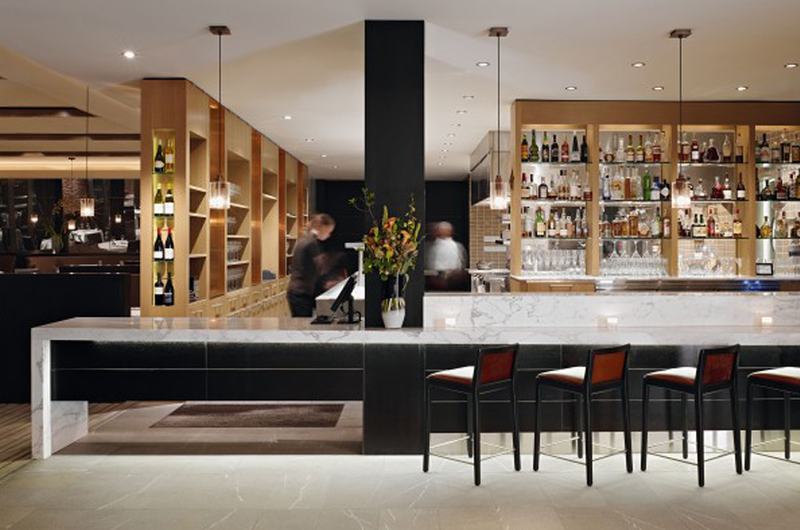 At the entry, a 20-foot slab of Carrera marble creates an elegant, minimal barrier between the guest and the kitchen. Directly behind the host table, an eight-bottle wall display presents the wines that will be used in the day’s wine pairings. In Los Angeles, one doesn’t have to go to Paris for an authentic bistro experience. At Comme Ça, the award-winning chef David Myers prepares traditional French cuisine in a setting that has the ambiance of an urban brasserie: Chic black painted panelling against white tufted banquets, and authentic bistro chairs. 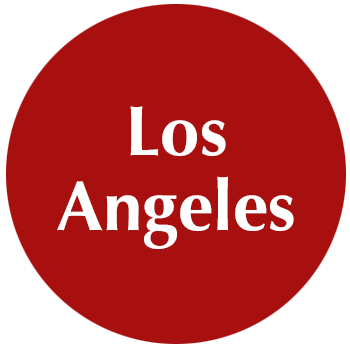 An esteemed LA designer created a winning look to match the terrific food. RM Seafood has been designed to set a new standard for international seafood dining. 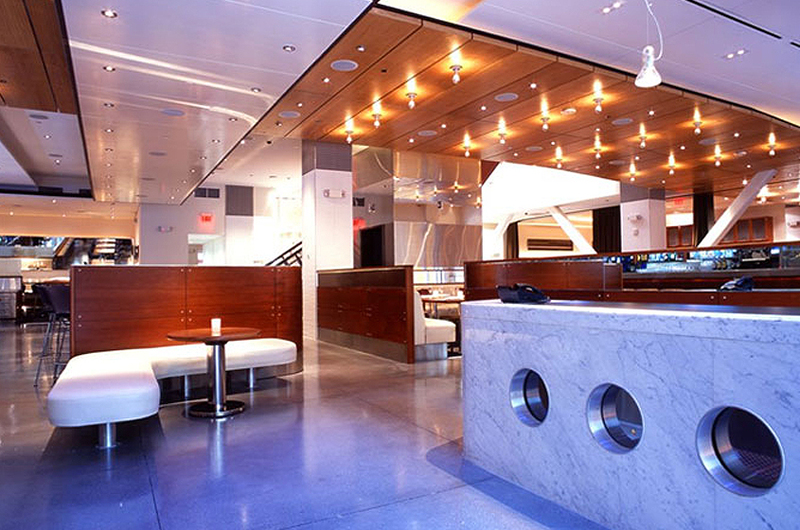 The restaurant comprises 16,000 square feet spread over two floors. The main floor contains the larger-scale, casual RBAR & Cafe. Multiple columns clad in modern white tiles divide up the space into discrete areas for drinking and dining. This is played off of marble, mahogany, chrome, and leather. 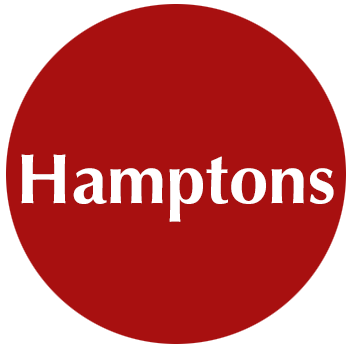 In The Hampton’s, where upscale restaurants rule, Townline BBQ, in Sagaponack, NY is a welcome change in attitude and aesthetics. It’s really a small roadhouse BBQ spot with a warm, casual design, relating to such joints found in the south. 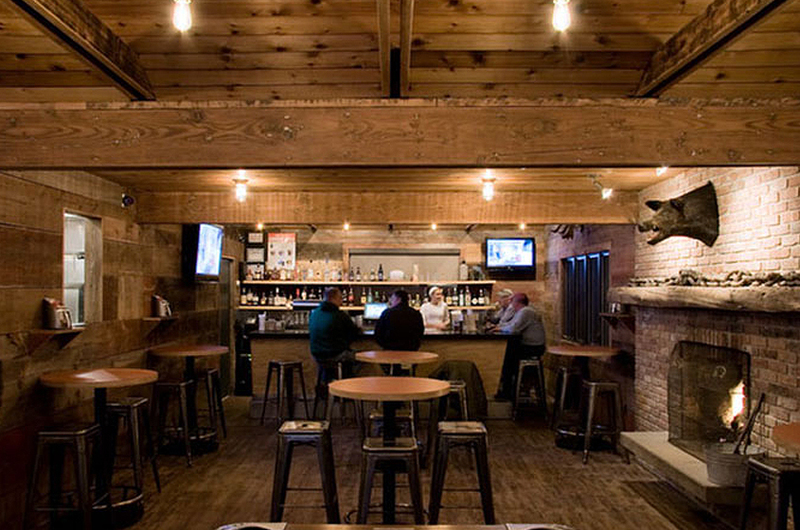 The small bar is separate from the dining area, with its own tables and a fireplace. Exposed bare Edison lamps and galvanized fixtures illuminate the space. 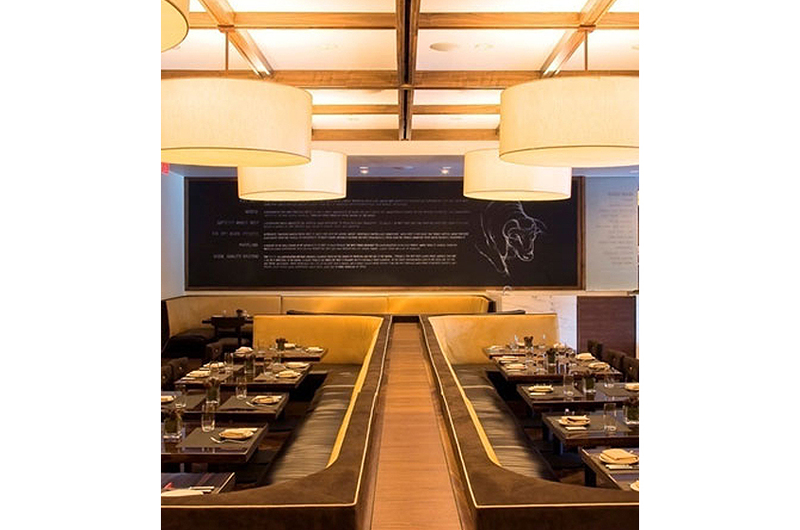 BLT Steak is located within a W Hotel and Residence, in downtown Atlanta. 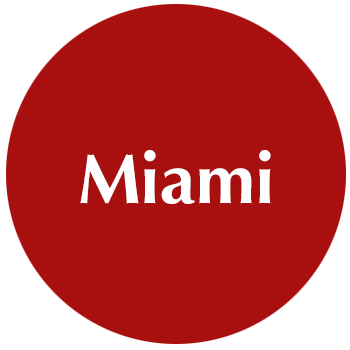 The restaurant, which is located adjacent to the hotel’s lobby, has the atmosphere of a New York, Midtown Manhattan restaurant. It’s large, yet intimate, with a slick décor, and features materials such as American black walnut, Calcutta stone, leather and mirrors. 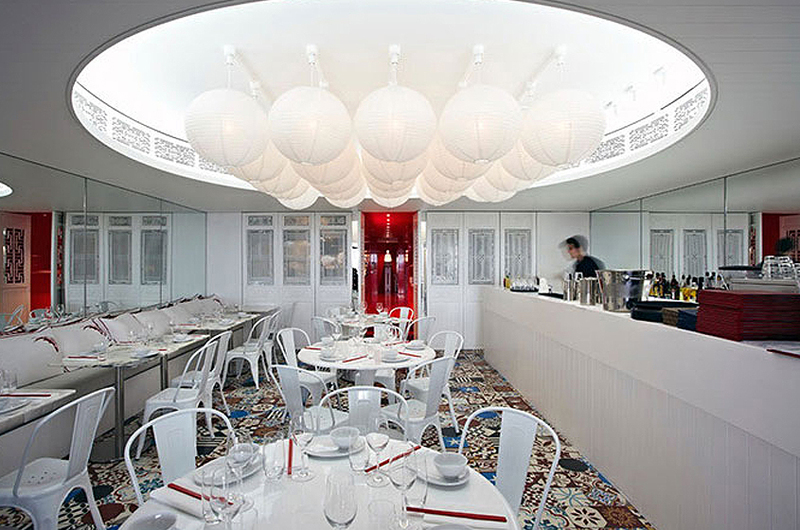 With a coffered ceiling made of 25 grid-aligned paper lanterns, China Beach, in Sydney, Australia, is a beachside restaurant with an interior that fuses ‘white on white’ timber-lined walls. A series of whitewashed vintage Chinese screens allows views to the kitchen; vintage furniture mixes with classic white French café chairs and molded plastic versions. 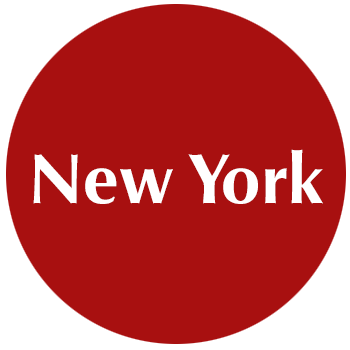 In New York, the Wright Restaurant, in the Guggenheim museum, there are dynamic spatial effects. 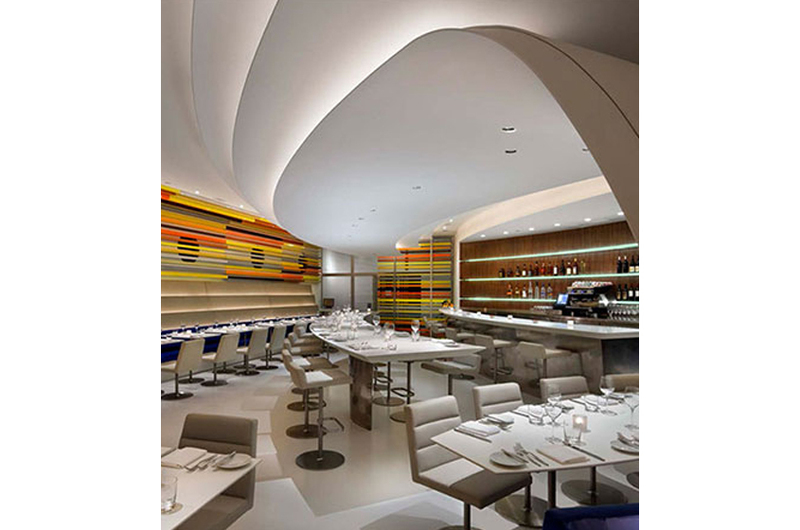 The sculptural forms create a flared ceiling. The undulating walls become comfortable seating. And the arched bar and communal table animate the space.